I purchased the duo that ABH online and what an awesome deal. This brush works perfect with the ABH stick foundation..
Esther Slentz has rated on date 01/25/19 as Brush and stick foundationI purchased the duo that ABH online and what an awesome deal. This brush works perfect with the ABH stick foundation.. with 4.5star. Was this helpful to you 1 customer says yes and 0 says no. Maisie Lenards has rated on date 01/25/19 as Good brush and foundationGood foundation- works good if you moisturize before!! Not totally full coverage and you can sort of build it up. The brush is nice and soft and good for blending it out but u deifnitely went in with a blender afterwards because I had streaksssss. The brush also seemed to sometimes wipe product away with 4.5star. Deshawnte Jackson has rated on date 01/25/19 as Best everI love everything about this I always go for a natural soft look and this gives me just that. It’s not super oily or makes my skin look cakey I love ot with 4.5star. Stephanie Cannon has rated on date 01/23/19 as Game changerI don’t often get excited about makeup brushes BUT this one is fantastic. It’s buttery soft and applies/ blends all of my products so smoothly. I bought it with the foundation stick - which it works great with- but have also been using it to blend my contour and set my powder with 4.5star. Was this helpful to you 0 customer says yes and 1 says no. Paula Castro has rated on date 01/21/19 as 😃😃Love it with 4.5star. 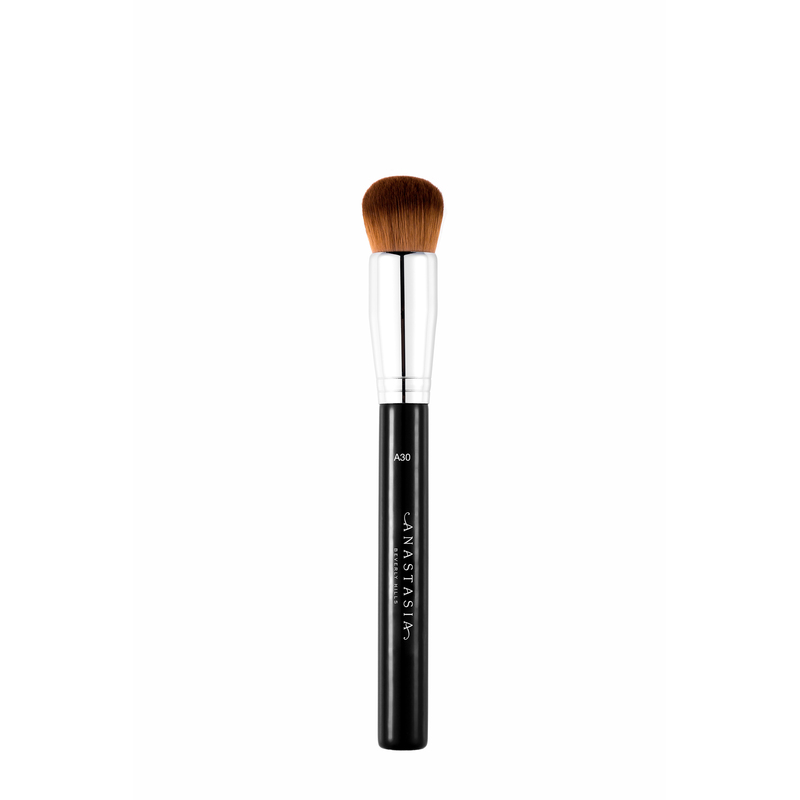 Anastasia Beverly Hills A30 Pro Brush is a medium, round brush with firm synthetic fibers that provides medium to full coverage when applying emollient-based products to the face and body. A30 Pro Brush can be used on the face and body. The dome shape can be used in circular motions for seamless blend. 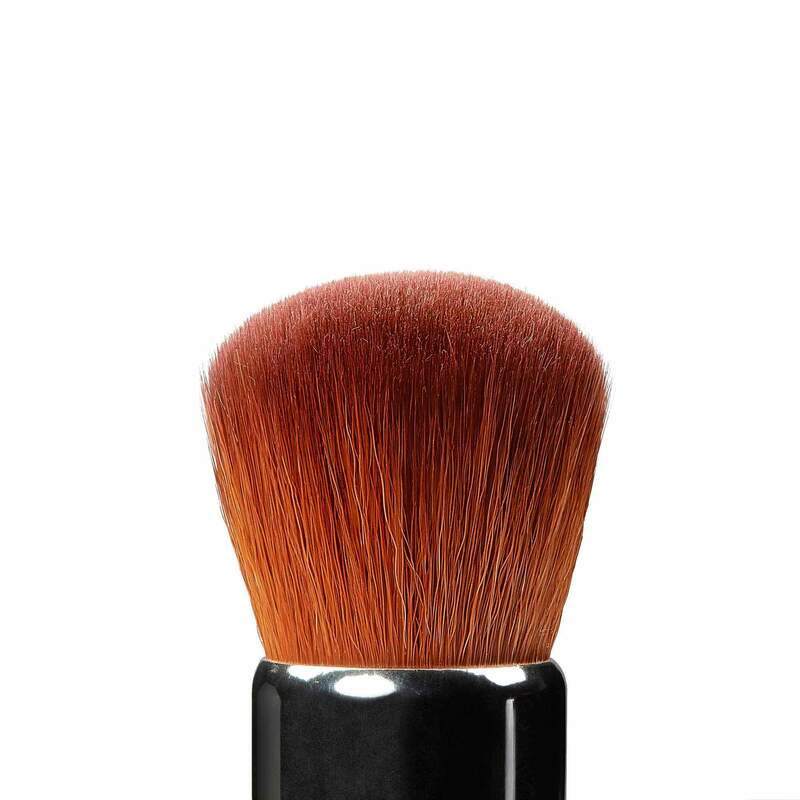 Apply product directly to the skin and then buff and blend using A30 Pro Brush for best full-coverage results. For natural-looking, buildable coverage, apply product by working it into the brush and then blending product from the brush into the skin. Purchase select face product and get a qualifying face brush (Brush A19, Brush A23, Brush A24, or Brush A30) for $10. Must add both products to your cart in order to receive the discounted price. While supplies last. Brushes are final sale. Cannot be combined with any other offer.